Better Economic System than Free Market? Milton Friedman interviewed by liberal TV host Phil Donahue thirty years ago. Two minute video well worth watching which blows away some of the confusion about Capitalism and Free Market Enterprise. Click HERE. Where Was King David Buried? What is the City of David? 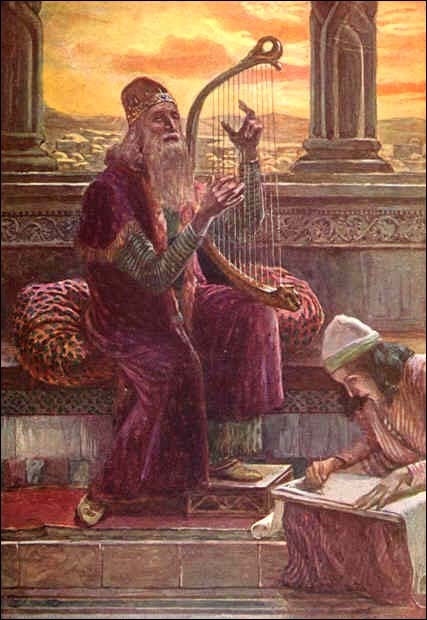 Scripture tells us that King David was buried in the City of David. Since Scripture refers to both Jerusalem and Bethlehem as “the City of David” some say David was buried in Jerusalem, other suggest he was buried in Bethlehem. So, what is “The City of David” – and where were King David and his successors buried? In my documentary David and Solomon: Expanding the Kingdom (produced by Ignatius Press) I assert that David was buried in Jerusalem, actually in the area called Silwan today. However, some have suggested by some that David was buried in Bethlehem where he was born and raised. This is not because of any evidence; rather, it is because of a confusion caused by the phrase “city of David” being used of Bethlehem by Luke. And also for other reasons that arose subsequent to the destruction of Jerusalem in 70 AD (details to follow). So, loving a good biblical mystery, I decided to dig a bit (no pun intended) and see what I could find.